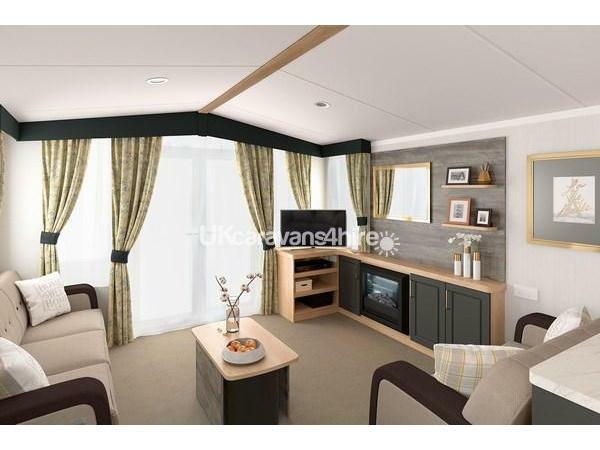 Additional Info: Platinum grade 3 bedroom caravan with a sea view and very close to access the beach, play areas, entertainment complex and shop. Master bedroom with toilet and wash basin. 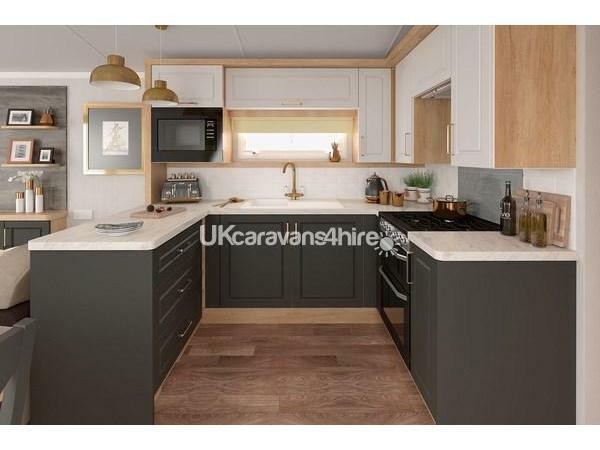 Required is a non refundable £200 deposit will need to be paid to secure the booking and the full amount will need to be paid for 6 weeks prior to the holiday date. NO PETS OR SMOKING ALLOWED IN OUR CARAVAN. 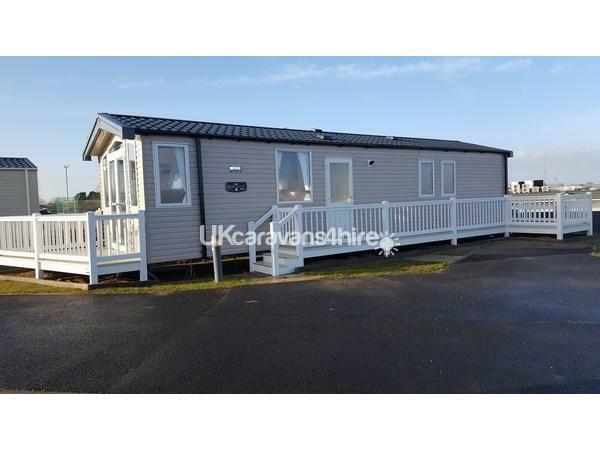 New luxury platinum 3 bedroom caravan with a family bathroom and master bedroom with it's own toilet and wash hand basin for hire at Haven Seashore with a sea view overlooking the sand dunes. The master bedroom also has a wall mounted 32" television. The is situated on a prime area of the park on an end plot location at the bottom of a cul-de-sac, with no through traffic. 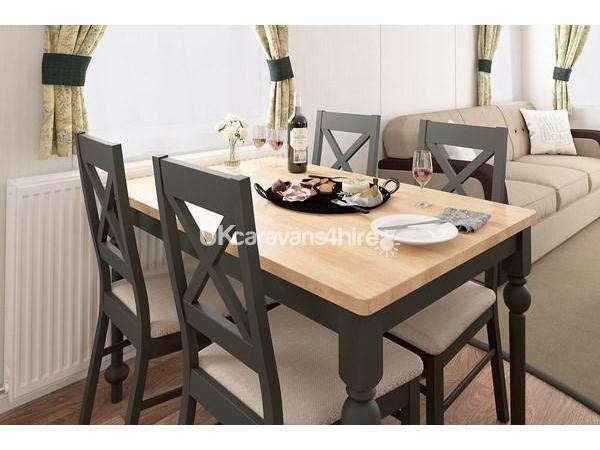 This is well appointed and stylishly furnished with free standing sofas, dining table and chairs. 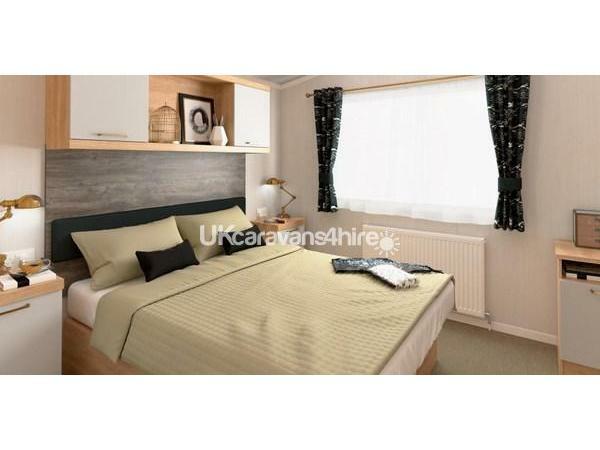 The furnishing scheme is coffee, yellow and neutral tones, that mixes floral patterns with plaid accents for a homely feel that cascades through to the bedrooms. 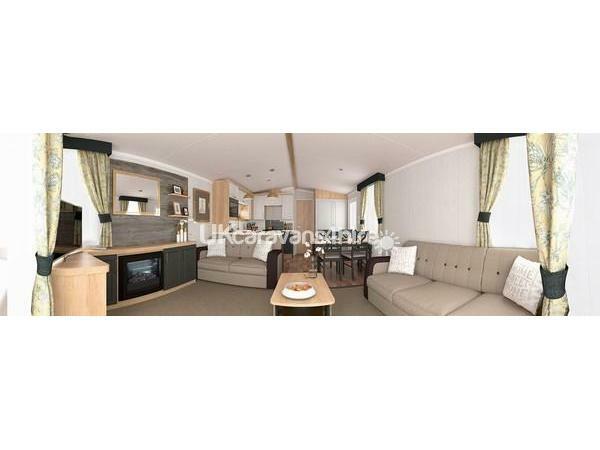 Luxury carpet with underlay throughout. Laminate flooring effect vinyl flooring in kitchen/dining area and bathrooms. 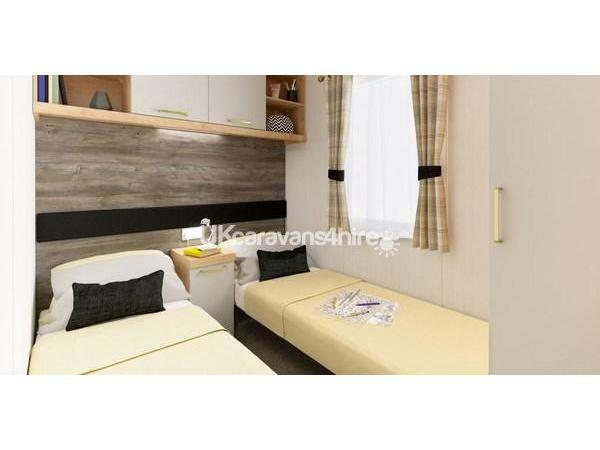 It does have a USB socket in the living area and a good provision of double electric sockets throughout. 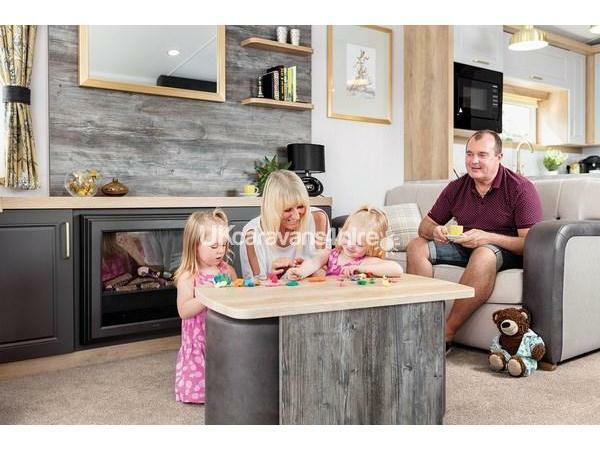 The lounge area does have a 42" wall mounted television, contemporary electric fire and fire place and French opening doors that lead out onto the veranda which has a table and chairs. It has a secure gated decking area at the side too to keep little ones safe. This decking area has a table and chairs too. The kitchen area is fully equipped with all brand new accessories. 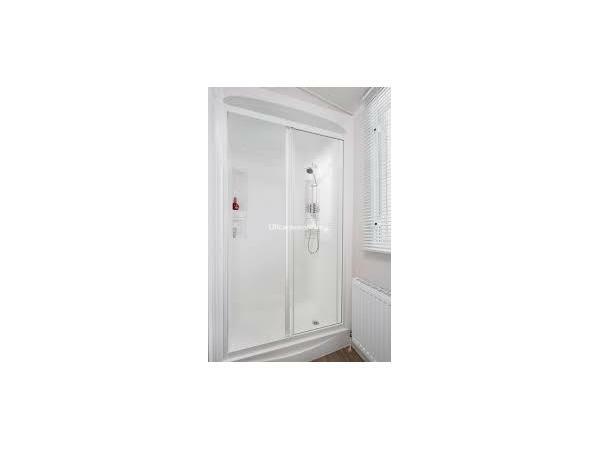 It has a full size integrated fridge and freezer, microwave and much more. Every bed each have a duvalay mattress on. The master bedroom comes with a 32" wall mounted television and a vanity area and an en suite that has a toilet and wash hand basin. The other twin bedrooms have 2 single beds in each. 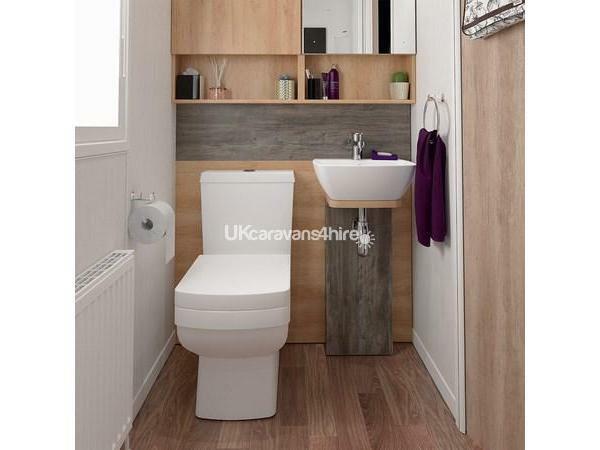 The family bathroom has a large contemporary shower cubicle with a toilet and a wash hand basin. 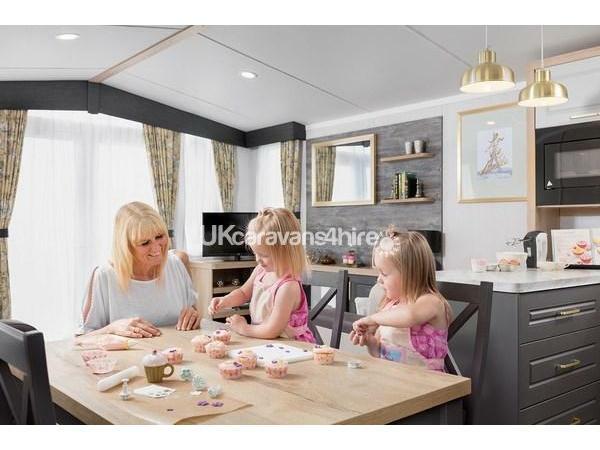 Our caravan is very close to all amenities including the sand dunes, play areas, astro turf pitch, entertainment complex, shop, bus stop, land train launderette and hire shop. Please no smoking or pets are allowed in our caravan. All bed linen will be provided by yourselves, duvets and pillows are provided by us which are all new with pillow and duvet protectors on to protect them. 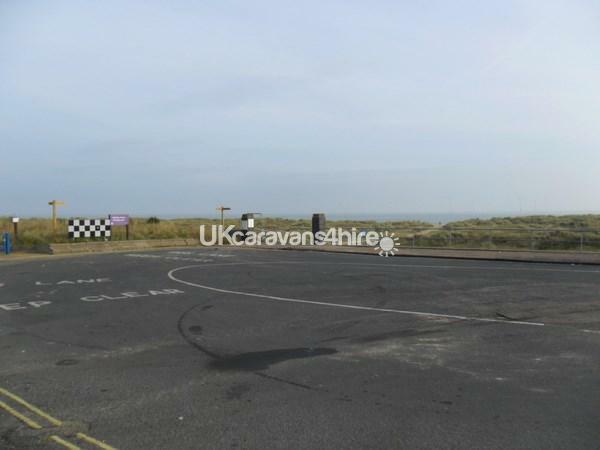 A key safe is located on our caravan, so no need to queue at the reception when checking in. THE ENTERTAINMENT COMPLEX PASSES ARE NOT INCLUDED IN THE PRICE, BUT CAN BE PURCHASED UPON ARRIVAL IF YOU WISH TO DO SO. Check in times will be 2pm and will need to depart at 10am. A non refundable £100 deposit is required to secure the booking.